When we say hidden Prague sights, we're thinking alternative, local sights that often go unnoticed or hidden from tourists. These aren't necessarily the hardest to find, instead, they are the places that we wish more people took some time to experience. These places aren't far from all the "main" attractions. And, you can get here without much fuss. Let's start with one of the most fascinating gardens in Prague. Wallenstein Garden (Valdštejnská zahrada) is a breathtaking Baroque scene which is not to be missed. Manicured hedges, Greek myth inspired statues, a fish pond and roaming peacocks are only the beginning of things to see here. The garden is easy to find, fun to visit with kids and has free concerts in the summer. Read more about Wallenstein Garden. In our book, this little street is a must see! 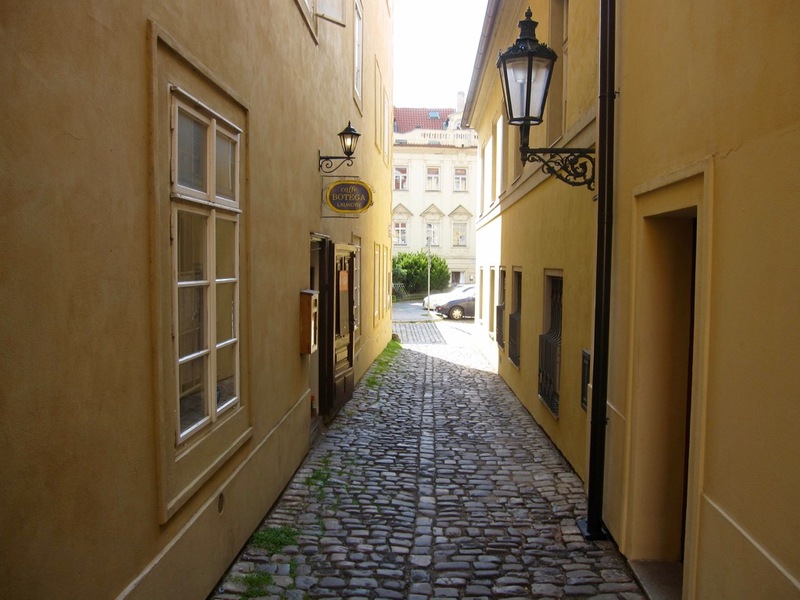 It reminds us more of an old village lane than a street in Prague. And, the lack of people and cars adds to the experience. 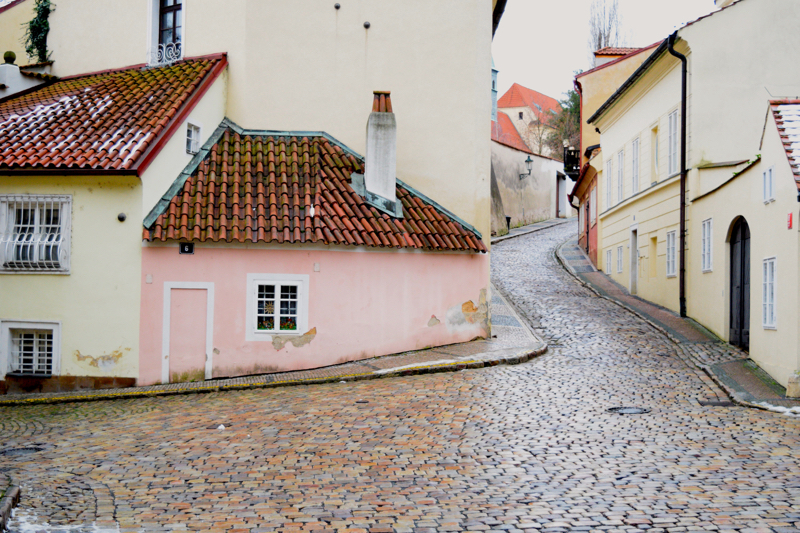 The street is easy to find, not far from Prague Castle. So feel free to add it to your castle visit. Read more and watch our video about New World Street. This lush green part of the castle often goes unexplored. Heck, basically no one comes here really. We like to enter the moat from the west side entrance and walk down along the path past the old bearkeeper's house and up to the entrance of the castle. People will wonder where you popped up from. 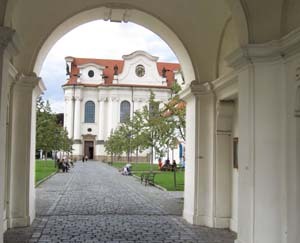 One of the oldest places in Prague, Břevnov Abbey is a peaceful oasis outside the city center, away from the crowds. Here you will find the beautiful St. Margaret church, park settings and a fantastic Czech restaurant. As far as hidden sights go, this one isn't exactly hidden. But, it still doesn't get the attention it deserves. 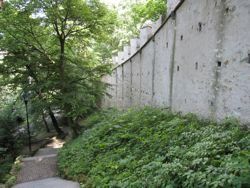 This enormous wall that cuts up Petřin park has an interesting story attached to it too. 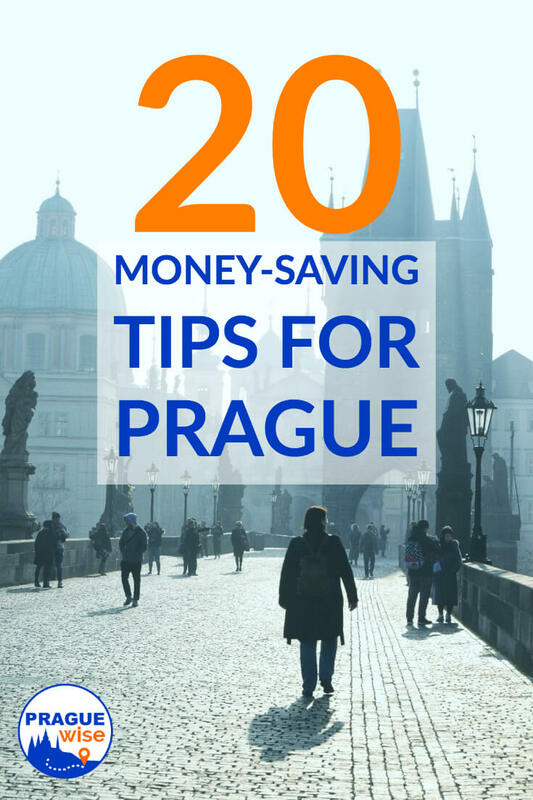 And, it will take you to one of the coolest little gardens in all of Prague. See if you can find it. 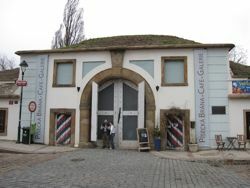 Read more about Prague's Hunger Wall. 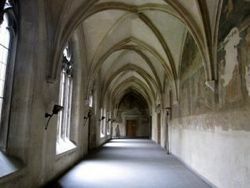 Absolutely one of our favorite places to visit, this quiet monastery in New Town is another gem. Take a moment and walk the inner halls, see the frescoes and consider how this historic place looked before its accidental bombing during WWII. Or, if you're just looking for a very quiet church, this is the place to visit. 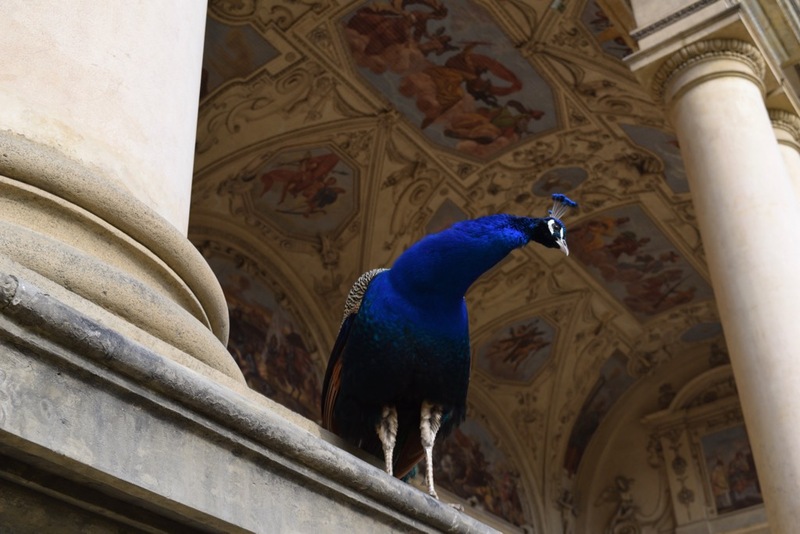 Of all the hidden Prague sights on our list, we would rate this one as most difficult to find. But, don't let that stop you from traversing a beautiful park and a few cobble stones. 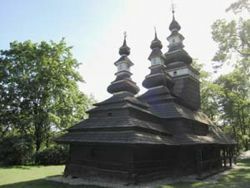 We can almost guarantee you haven't seen a little wooden church like this - or least not in this natural setting. There are no roads here, just a few foot paths and lots of trees. Are you up for a challenge? 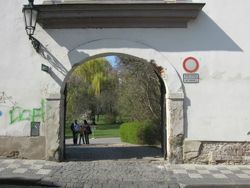 This one-time gate to the city is the kind of place that seems to melt into Prague's landscape. It's hidden amongst the beautiful villas near the castle, but is clearly an unusual place. Easy to find and perfect for an afternoon coffee or drink. More about Písecká Brána here. This is Prague's first public park, dating from 1248. The incredible quiet landscape and quirky details make it a nice place to stroll through on the way to Charles Bridge. It's also a great romantic hideaway for bookreading or a picnic. Tourists may walk this street, but few dare to enter for some reason. Find Vojanovy Sady and enjoy! Zoom in and play around with this map of our hidden Prague sights. 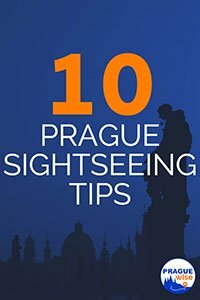 Please don't let the map deceive you - each sight is in easy reach of all the main Prague attractions. 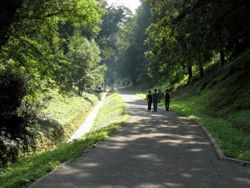 You might also be interested in my quiet places in Prague.